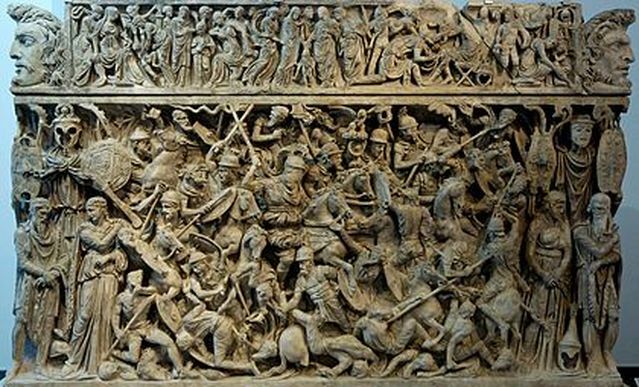 Relief sculpture is an artwork that projects out from a background surface. One side is flat with the artwork being on a wall or other flat background, and the other side has dimension like a sculpture. 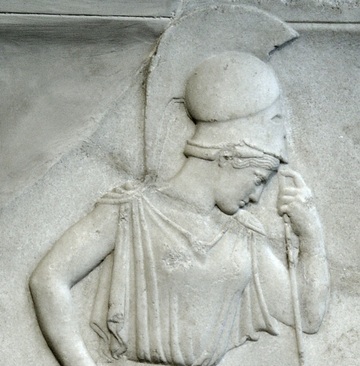 The ancient Greeks used relief sculpture to decorate their buildings. 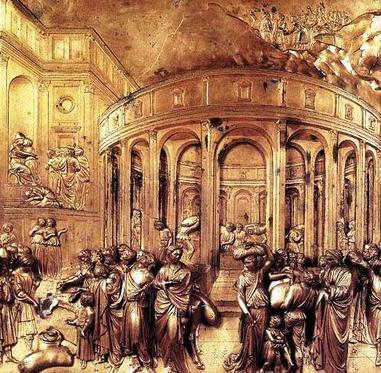 Ghiberti’s gilt-bronze doors of the Florence Baptistery are famous relief sculptures. 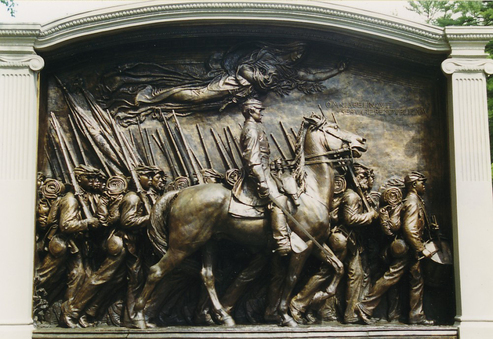 This bronze relief sculpture in Boston is a memorial to a Civil War regiment and commander. Encyclopedia.com,. 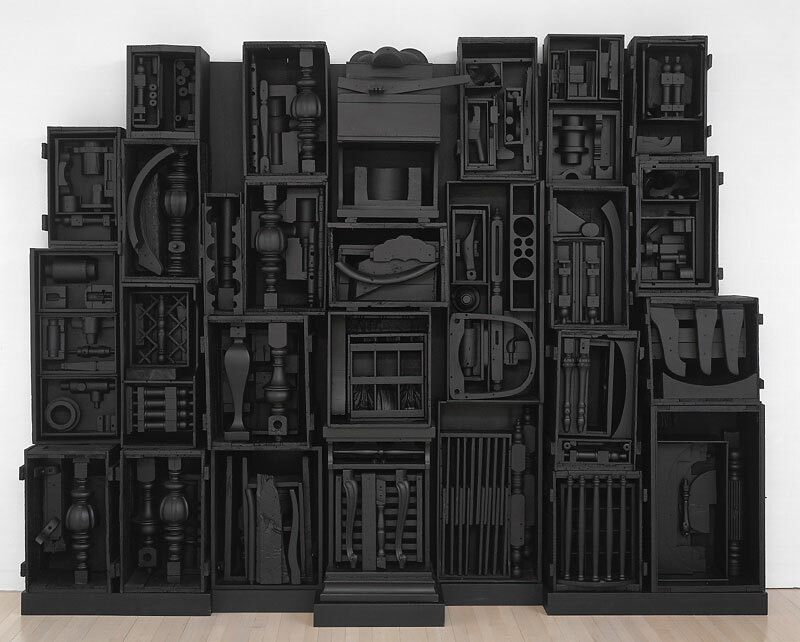 'Louise Nevelson Facts, Information, Pictures | Encyclopedia.Com Articles About Louise Nevelson'. N. p., 2015. Web. 20 Nov. 2015. Visual-arts-cork.com,. 'Egyptian Sculpture: History, Characteristics'. N. p., 2015. Web. 20 Nov. 2015. Wikipedia,. 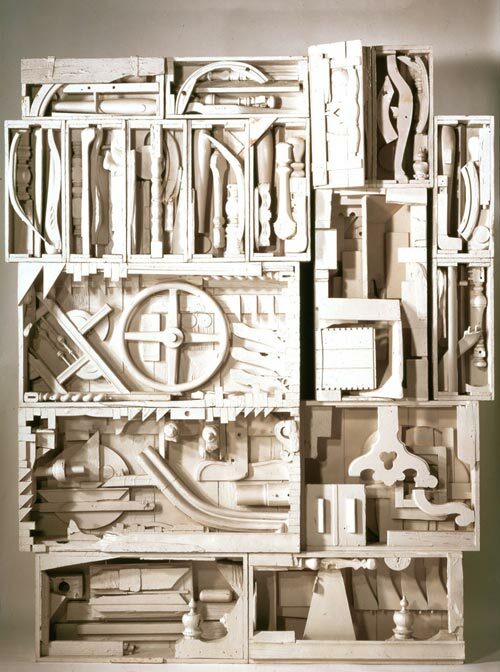 'Louise Nevelson'. N. p., 2015. Web. 20 Nov. 2015. Wikipedia,. 'Relief'. N. p., 2015. Web. 20 Nov. 2015.